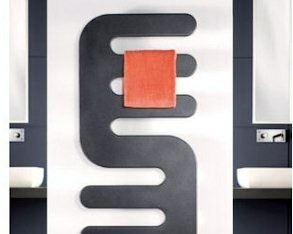 Below is a selection of Aestus Radiators products we have on display in our showroom. For more information and prices call 01663 749027. To see the full Aestus Radiator catalogue including price list click here (all prices are excluding VAT, offering the lowest prices you'll find on the the Aestus Designer Radiator range range you'll find anywhere. Call with any queries or to order today. 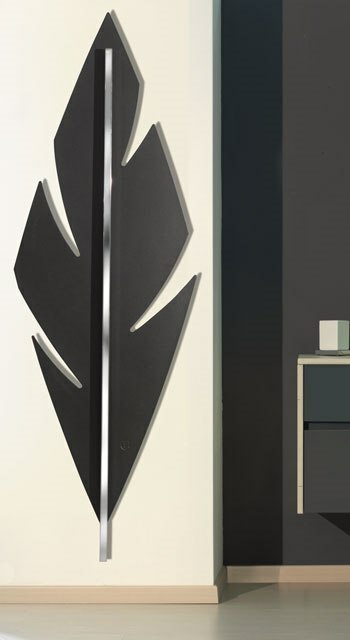 This is a bold addition to any room, this striking radiator is manufactured from stainless steal and comes in polished or brushed finishes; or in brass for an antique bronze finish. 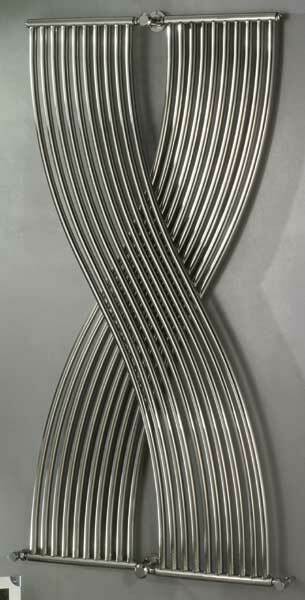 Manufactured to be a bold statement, these mild steel radiators come in a variety of colours and finishes. The Aestus Hand is a fantastic icon which blurs the line between art and functionality. The Aestus Feather is designed by Monica Pilenghi, manufactured from aluminium this striking design is available in gold, copper and silver. This is a practical addition to a bathroom, made from mild steel and available in any RAL colour, this stylish bench gives a luxurious feel. Available in a number of sizes and heat outputs. 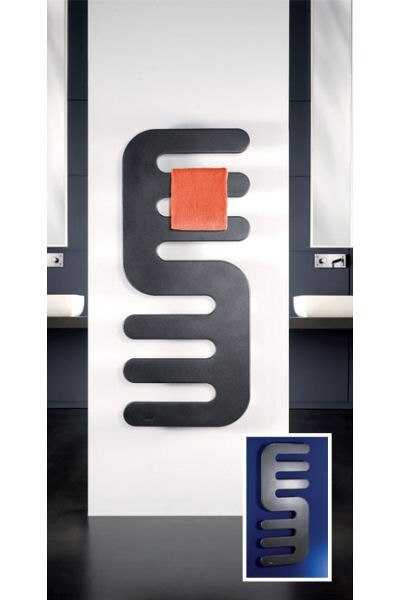 Part of the human living range, the Badge Three is the third, and perhaps most striking, member of a trio of bold radiators available in a number of powder coated finishes. 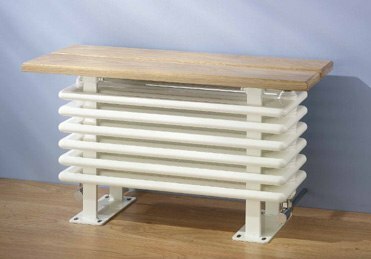 Another member of the Aestus human living range, the Movie radiator follows the same bold design which charaterizes the range. 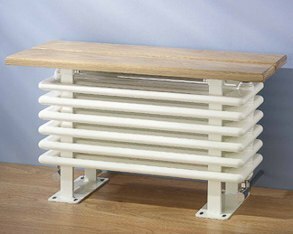 Powder coated, this radiator can come in a number of colours. 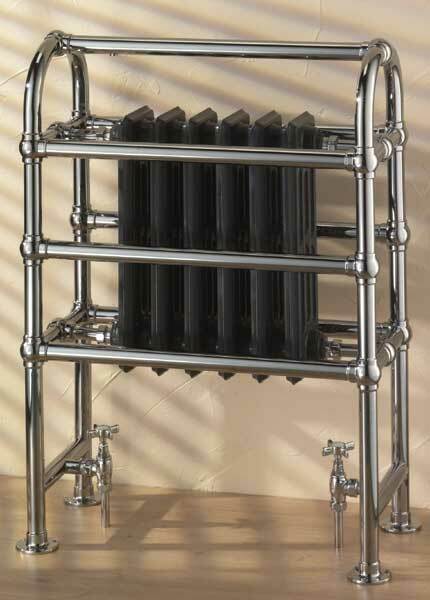 The Knightsbridge is a period style towel rail reminiscent of a bygone era. 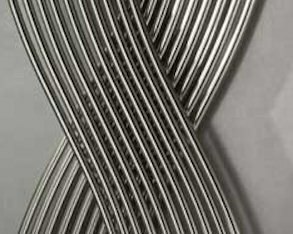 Manufactured from brass tube and available in chromium plate, antique gold, antique bronze, bright and satin nickel. Perfect for a period setting. 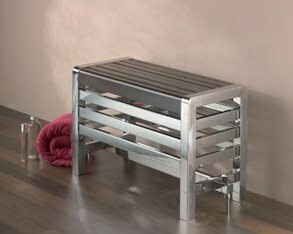 The Oslo is part radiator part bench, a great addition to any room. Available in chrome or almost any colour you can imagine (simply pick your favourite colour). Available in three different sizes and as with all of our range, viewable in our showroom 6 days a week (Sundays on appointment). 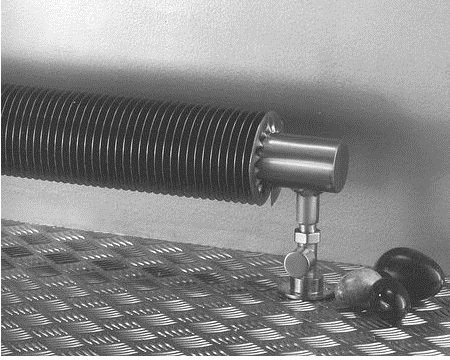 This innovative trench radiator is a subtle but extremely efficient power source suitable for low lying walls and conservatories. 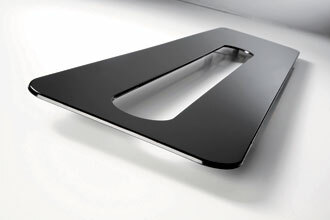 Manufactured from mild steel and like much of the rest of the Aestus range, the Zeb is available in most colours. 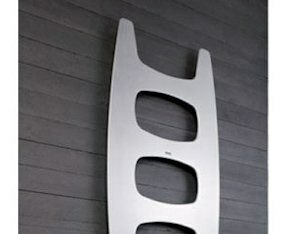 Aestus is a relatively new company in the world of designer radiators, having being founded in 1999. This youth shows in the contemporary, modern nature of their designer radiator and towel rail designs. 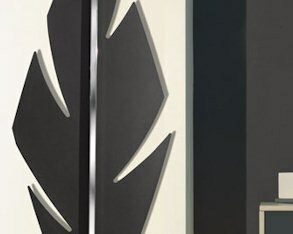 Widely regarded as a leading innovator in the field, Aestus arean extremely strong brand in the designer radiator field and a top supplier of premium quality products. 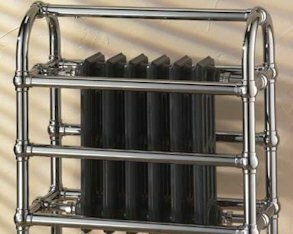 In addition to manufacturing in house at their base in the West Midlands, Aestus source and distribute premium designer radiators and towel rails from top craftsmen around the world. This means they are able to supply a number of ranges for a number of budgets. 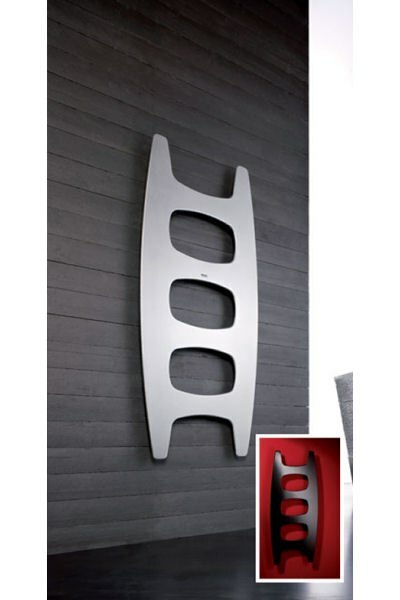 Their super premium range, the Hotech Design Range is their premium range; a simply stunning selection of works of art which disguise their functionality through striking design. 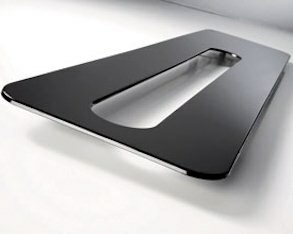 In short, Aestus can be truly defined as a fusion of the iconic, foremost design and highest quality of designer radiators and heated towel rails; the very best that Europe can offer. Working in brass mild steel, stainless steel and multitude of ancillary materials it is possible to create a steady stream of unique creations enhanced by a bespoke service that only a handmade product can offer. All supplied with an assurance of exceptional customer care. Please note, we only display pictures and make a feature on the website of radiators which can be viewed in our showroom, 6 days a week (Sundays on appointment). We however work closely with Aestus and can supply anything from their range. The Aestus current catalogue can be seen by clicking here. In that catalogue you will be able to see their entire range, as well as information on sizing and heat output. We invite you to get in touch via phone or email, or better still come and see our showroom if you wish you discuss the Aestus range with us.